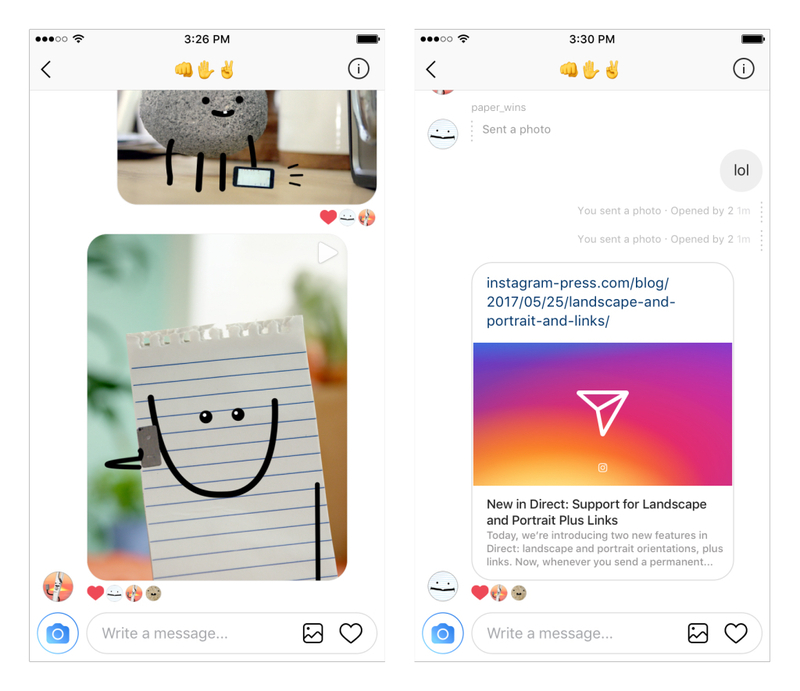 Direct, the private messaging portion of Instagram’s app, has gained two much-requested features, Instagram revealed in a blog post. First, users can now share links in Direct, and, second, video and photo uploads in direct now support both portrait and landscape orientations, so there’s no need to crop your shared media anymore. Direct’s new features are available in the iOS today, with Android support coming soon.